My heart is alive again, for I can be outdoors once more. I start my mornings meditating outside on my deck, listening to the world waking up around me – the frogs, the crickets, the stream in my backyard, the lazy morning moos from distant cows, and even the hum of 6am traffic from ghe highway beyond even that. It’s a mindful peace that I can find without having to delve into mysic. I prefer to meditate to the sounds of my backyard and forest. It feels more honest to me. I spend my lunch breaks outside, walking laps around an oh-so-familiar graveyard, now accompanied by the caws of crows and the calls of hawks, the atmospheric tumbling whirl of a lopsided wind ornament. My spirits rise as i can now truly take it all in, instead of retreating into layers of clothing and protection from the bone chilling wind that leaves me exhausted after only a few minutes. Now. My walks are once again uplifting. Soon, the my seasonal companions, the graveyard grasshoppers, will be wildly bouncing about. And when I get home in the evenings, I can spend hours on my back porch, enjoying the symphony of color and sounds that accompanies twilight in the woods. I may be reading, writing (like I am at this moment), or just being at peace with myself and my surroundings. I am so grateful for the return of Spring in North Georgia. Each morning, pretty soon after waking up, I set my intention for the day. Typically, this intention is just one or two words that I hope will guide me to a meaningful day. Productivity, focus, health, happiness, contentment, momentum, minimize — these are all words I’ve used to set the tone for my day. But what about long term? This year, I’m trying something new. I’m setting a renewing intention for the year. I’ll still have my varying daily focuses, but all relate back to my overarching theme for this year – Growth. No not taller, y’all. I don’t wish I were a baller. I mean, I AM short, and could use an extra inch or two to my stature, but that’s beside the point. I mean that I want to grow as a person. I want to focus on growth in multiple facets of my life. I want to grow my intellect. I want to increase my muscle mass. I want to improve my physical health and go deeper with my emotional and mental well-being. I want to grow to be a warmer, more compassionate person. I never want to stop improving. And so this year, I resolve to grow. What intention have you set for 2019? Good bye, 2018 and an enthusiastic hello to 2019 – a fresh new year. It’s time to reflect on last year and reset your mindset for this year. It’s been a whole 365 days of growth and setbacks and rebounds and losses and wins and forward momentum and stumbles and epic moments. There’s a lot that’s happened in the past year. So take a few minutes to not only check in with yourself, but to really focus on what has happened this past year to encourage your own personal growth. What lessons were learned? What were your wins? What were your low points? What were your high points? Below, I reflect on several different areas in my life and how I hope to reset these areas and work on them in the upcoming year. Reflection: One huge thing that I’m proud of is being a part of my workplace getting ranked number six on Glassdoor’s Best Places to Work for Small to Medium Business. I firmly believe that this award was the result of our efforts to help the employees of our company to become happy individuals through things like our thoughtful team-building events, our mindset training, our wellness challenges and more. Most of which I had at least a small part of. I love my co workers and I love my job. Reset: I want to focus even more on encouraging the personal growth of my coworkers. More ways, more options for them to find their own paths to happiness or enlightenment or stability or whatever it is they seek. I will curate a learning library for them. I will lead more wellness challenges or activities. I will continue to be a coach and enthusiast for mindfulness and mindset training. Reflection: I got ill again this year. But this time, I didn’t break down in a bathtub. Because of my first battle with this mystery sickness, I was better prepared and armed. I chose to fight harder. And as a result, me and my team of doctors were able to eliminate a few more possible causes. I also bounced back a lot quicker this time, even though I’m still having a few lingering, albeit relatively minor, symptoms. Before I experienced my illness this year, I was on the journey to becoming a fitter person. I faced a set back, but I’ve reset already and am making the choice to jump back on the fitness wagon. Reset: I am now better prepared for the struggle. New insurance means newer, lower deductible and out of pocket max. This year, I will strive to get my body in even better shape so I not only feel and look better, but I’ll also be better prepared to fight if illness strikes me down again. Reflection: This year is the first year that I’ve really focused on being mindful. I’ve always enjoyed the simple pleasures in life – food, honest work, nature – but now I’m taking even more pleasure in it. Not only living in the moment, but really taking it all in. Reset: Keep on keeping on. I’ve made great strides and I plan on continuing with this mindful momentum. I’ll continue journaling, meditating, practicing gratitude rituals, doing yoga, and consuming growth content to become a more well-rounded person. Reflection: This year has had its ups and downs. We lost Waffles, our beloved first dog who fought her own battle with illness (Degenerative Myelopethy) for three years, and taught me so much about love, companionship, and patience. We got a new puppy, Beans, who has brought so much joy and compassion (and bite marks) into our lives. 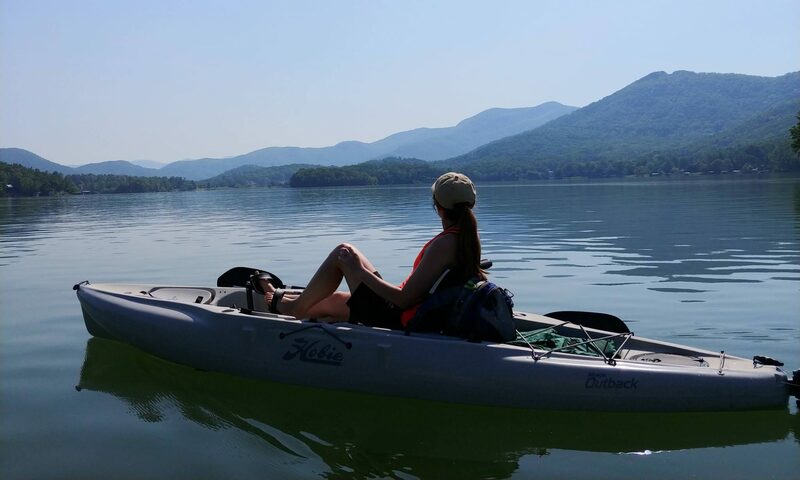 I hiked less, but took up kayaking and love the new variety we’ve found in our outdoor activities. I got a tan this year for the first time in decades! I made major strides towards my health and wellness, and then I became ill again. I found mindful living and shifted my mindset. I became a happier, more patient human being. -making an effort to be warmer to all those around me. I do have fears for 2019. I’m afraid I can’t maintain consistency, or that I will lose forward momentum. Really, my biggest fear is that I will get sick or worse again, or that the lingering symptoms won’t go away. But I am so excited for all the possibilities of this upcoming year. I want to feel fit and well once more. I want to be a guide and help others realize their own goals. And I just want to continue living my fulfilling, Hobbit life.